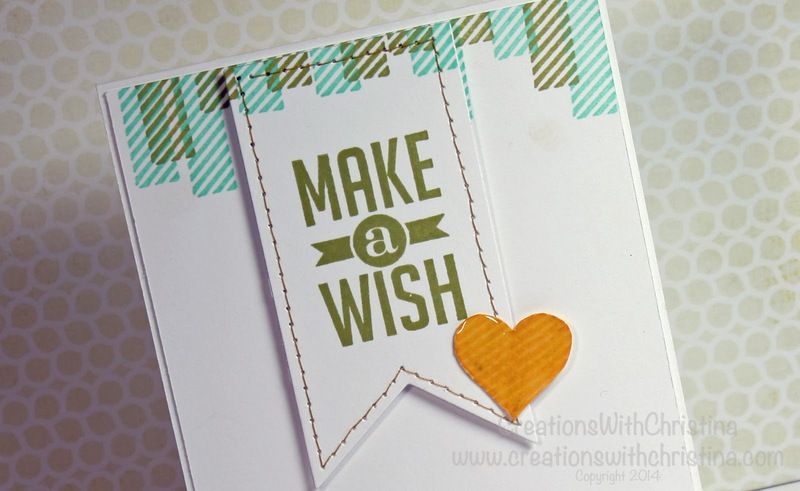 Today I'm making a birthday card using a new stamp set from the Celebrate Everyday Catalog (AKA Occasions Catalog). I hope you enjoy. Click here to see this week's weekly deals. Christine, I love the border! What a great use for the "washi tape" stamps I have and never used yet....the colors are so nice together, too! Great card, Christina. I love how you used the stamp. This is so cute! The funny thing to me is that Pool Party & Pear Pizzazz were the first 2 Stampin Up colors that i bought from you to try out. I love them both ( but I love all the other colors, too! ), and they look great together. Thank you. BethAnn M.
Love the border stamp, great card as usual.